To own, acquire, build, and sell affordable single family homes to low-income first time homebuyers in westchester county, new york. Rehabilitate and develop affordable housing for low-income residents in areas designated by the city council of the city of new rochelle as well as contract administrator for city of new rochelle section 8 program. Soundview estates is a senior low income housing apartment subsidized by the federal governments hud (housing and urban development division). Contact soundview estates for complete details on the current vacancies and housing applications. Maple terrace is a senior low income housing apartment subsidized by the federal governments hud (housing and urban development division). Contact maple terrace for complete details on the current vacancies and housing applications. 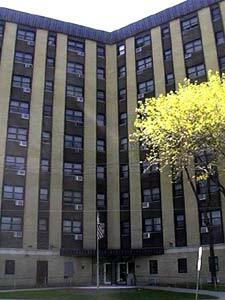 Lincoln towers is a senior low income housing apartment subsidized by the federal governments hud (housing and urban development division). Contact lincoln towers for complete details on the current vacancies and housing applications. Huguenot houses is a senior low income housing apartment subsidized by the federal governments hud (housing and urban development division). Contact huguenot houses for complete details on the current vacancies and housing applications. Carrington arms is a family low income housing apartment subsidized by the federal governments hud (housing and urban development division). Contact carrington arms for complete details on the current vacancies and housing applications.